Millions of people around the world watched today as Prince William and Kate Middleton were married in a ceremony steeped in British tradition. The guests in Westminster Abbey were all dressed impeccably in their formal attire. Perhaps the groom used D.R. Harris or Truefitt & Hill in order to look his best? 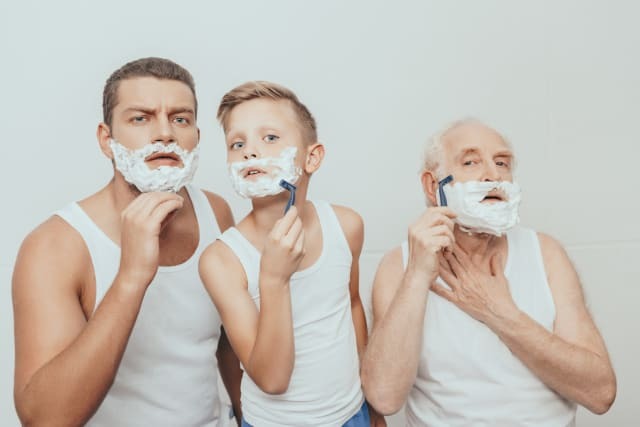 In order to go along with the mass media coverage of the day, this article takes a look at British traditions, but also how the Royal Family has influenced shaving history in the United Kingdom. Traditional wet shaving at its heart is in many ways a British tradition. Newcomers to wet shaving (or those who switched from electric shavers) are encouraged to start with the “3 Ts” (Trumper, Truefitt, and Taylor), which are all notable British brands. They are considered by many to be the best shaving products in the world. Although there are older and excellent brands from other parts of the world, these British companies embody the time-honored and nostalgic style that many of us love about traditional shaving. 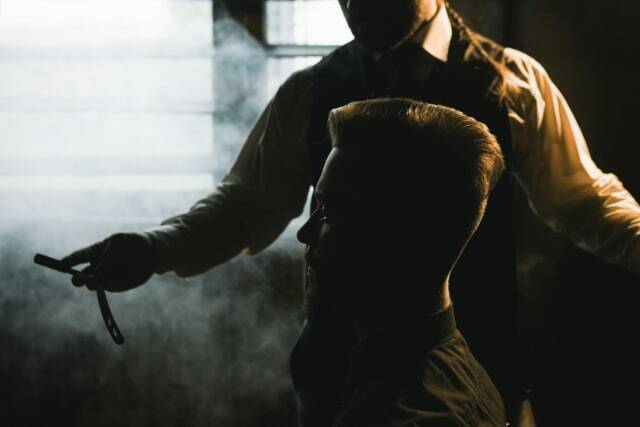 The history of traditional shaving in England begins with the innovative products and services offered by the country's best barbers. For centuries British fashion and hair styles were influenced by the monarch. In the 16th century, British men and women paid lavish attention to personal grooming and hair styles, which included powdered wigs that were maintained by regular visits to a barber. Powdered wigs remained in style from about 1720 to the early 1800s, but wearing natural hair was becoming increasingly popular as barbershops were founded that offered different pomades and shampoos that were not available previously. Sensing the demise of their industry, London wig makers petitioned King George III in 1765 to pass laws that would require subjects to wear wigs, but he declined. By the beginning of the 19th century, men’s hair was mostly worn natural, unpowdered, and shorter -- although the tradition of powdered wigs remains in England for barristers and judges even today. William Francis Truefitt was one of the first to open a barbershop in London. Upon opening his store in 1805, he became known as a superior wigmaker and barber. He became the Court Hair Cutter, Court Hair Dresser and Wigmaker by Royal Appointment to His Majesty, King George III. Truefitt's barbershop produced a range of hairdressings, shampoos, perfumes, and colognes. Later his business would merge with Edwin Hill & Co. to become the iconic brand Truefitt & Hill. During this time, entrepreneurs were not only offering new grooming products, but they were also inventing new razors that would modernize shaving and improve the safety of the best straight razor. In 1847, William S. Henson, an aviation engineer from Nottingham, England, patented the T-shaped or “hoe-shaped” razor when he set the razor's blade perpendicular to the handle. This razor became immediately popular and was the predecessor to the traditional double-edge safety razor. Later in 1870 William Penhaligon opened his barbershop on Jermyn Street in Mayfair and in 1875, George Trumper opened his barbershop in Mayfair as well. Both became known throughout London – and the world – for their superior shaving products and perfumes. In 1884, James Bronnley founded H. Bronnley & Co. Ltd, which would create bath toiletries and shaving soaps for centuries. From an American perspective, the phrase “By Appointment to HRH The Prince of Wales” on a pot of D.R. Harris shaving cream is noticeable, but many do not understand what this means. This is another way that the monarch has influenced the shaving market by endorsing certain brands and products. Royal Warrants are marks of recognition given to certain firms and individuals who have provided goods or services to certain members of the Royal Family for at least five years. The marks includes the royal crests of the Royal Households of The Queen, The Duke of Edinburgh, or The Prince of Wales and are frequently seen imprinted on products (like pots of shaving cream), stationary, and advertising of the grantors. These marks of recognition indicate superior quality and a commitment to excellence. According to the Royal Warrant Holders Association, there are around 850 warrant holders that “range from traditional craftspeople to global and multinational firms operating at the cutting edge of technology.” The earliest recorded Royal Charter was granted by Henry II to the Weavers’ Company in 1155. Over the years, warrants have been granted for a wide range of products and services within the Royal households and they are widely considered to be the best the United Kingdom has to offer. Quality shaving products are produced throughout the world; however, the British brands are often the ones most associated with traditional wet shaving and are often considered to be the benchmark to which others are compared. The “3 Ts” provide quality products that lather with consistent results, so they are usually one of the first product lines used by a newcomer to traditional shaving. It is interesting that the histories of Trumper, Truefitt, and Taylor are so intertwined with other barbershops because they were on the same streets and in the same shopping districts. In addition, most of the historic brands have enjoyed success due to the patronage and support of the aristocracy and, in some cases, even the Royal Family, which lived only a short distance away. Although Prince William was given the option to grant Royal Warrants at his 18th birthday when he received his crest and proper title, he has not granted any yet. One can speculate that he turned to a favorite British product while preparing for his elaborate wedding today. Was it one of the “3 Ts” or another of the exceptional products on the British shaving market? Given the popularity and media coverage of the newlyweds, his endorsement could catapult a modern shaving brand into the limelight for a new generation.